Apple Inc. (NASDAQ:AAPL) is being meticulously analyzed in nearly every way possible at the moment, but one thing’s clear: Cupertino’s latest quarter was a beat. See our full recap of Apple’s Q2 earnings release here, where we discuss things like: Apple Inc. (NASDAQ:AAPL)’s decision to increase their buyback and boost dividends while using debt in the process, in addition to the current balance of the company’s total cash position. Apple stock has traded relatively sideways in the after-hours markets, as there were likely a few investors disappointed that Tim Cook and Co. didn’t announce what its next major product category would be, or if there was a specific time-frame for it. The fact that Apple’s share price briefly jumped after the beat was announced indicates that investors had optimism of a big reveal, only to be left hanging by 6pm EDT. 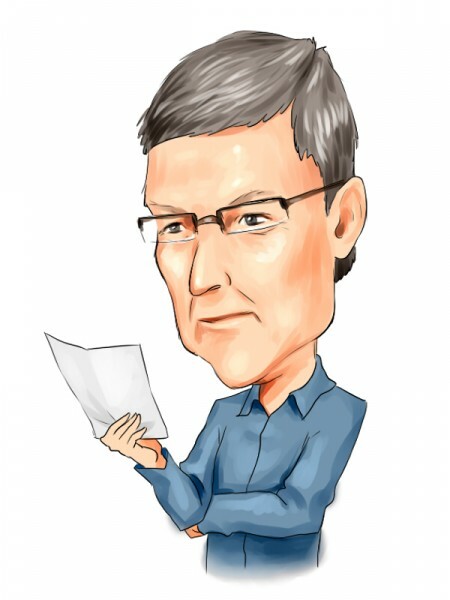 Nonetheless, we thought it was important to take you through a few key points from Apple Inc. (NASDAQ:AAPL)’s Q&A session of the conference call. When the duo was asked about Apple’s future in the so-called ‘phablet space,’ with the question, “Whats your thoughts of the 5-inch phone market […] versus your 4 inch product,” Tim Cook’s response was a bit surprising. He said, Apple Inc. (NASDAQ:AAPL)’s “iPhone 5 has the absolute best display in the industry […] some customers value large screen size, others value other factors such as resolution […] compatibility with apps, many things. Our competitors have made significant trade offs in many of these.” More importantly, he stated “We would not support a larger-size iPhone while these trade offs exist,” which implies that there may be a future where those “trade offs” do not exist. We’ll have to wait and see. Every one’s favorite Apple analyst, Gene Munster, asked the question that everybody in the world knew he’d ask: clarity about if Cook’s mention of “new product categories” earlier in the call was correct. It could have also been reasonably guessed that any Apple earnings call would be met with a question on the struggling state of the PC market.